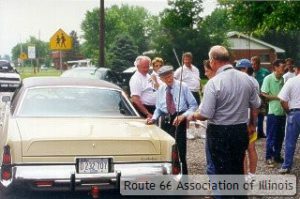 From the very beginning, Route 66 ran along Ogden between the near west side of Chicago and the suburb of Lyons, just west of Berwyn. Even before Route 66, however, there were Berwyn businesses on Ogden that served horse carriage owners. 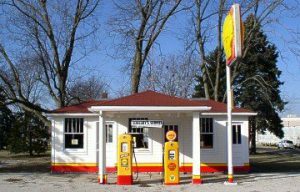 As automobiles grew in popularity with the introduction of the Model-T Ford – which made owning a car more affordable for average Americans – some of these businesses transitioned to serving automobile owners. Moreover, as Ogden was already a major thoroughfare between the city and Joliet Road, even before Route 66, it made sense for auto dealers to locate on Ogden, too: the dealers went where the drivers were. In the 50th anniversary issue of the Suburban Life newspaper, Berwyn Motor Sales (BMS) touted itself as the oldest auto dealership in Berwyn, having opened there in 1922. It may well have been: BMS was listed in the 1923 suburban telephone directory with an Ogden Avenue address and was the only auto dealership listed that year. A Chicago Tribune newspaper ad published October 28, 1923 listed BMS as a community dealer in Berwyn for the Gambill Motor Company (2230 Michigan Avenue, Chicago), a distributor of Hupmobiles. Hupmobile was an auto brand that competed heavily against Ford and Chevrolet during the early days of the U.S. auto industry. BMS wasn’t the only automobile-related business on Ogden at the time. Ogden Top and Trim had begun in 1919 as a horse-drawn carriage service center, specializing in carriage tops, harness making, and buggy whips. 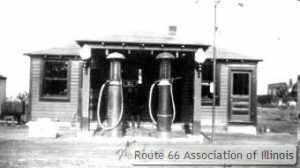 It had switched over to automobiles, however, by the time Route 66 was designated in 1926. Today, Ogden Top and Trim is the only remaining original automotive business left on Auto Row in Berwyn – and it’s still owned by the same family – the Nesladeks. It’s also been in two different locations on Ogden (its original location is now a State Farm Insurance agency) and currently prides itself in auto customization concentrating on vehicle interiors. According to local telephone directories of the era, by 1926 there were four new car dealerships on Ogden in Berwyn. From northeast to southwest, they were: Anderson Brothers Motor Company (6539 Ogden), which sold Willys-Knight/Overlands models;2 Berwyn Motor Sales (6631-33 Ogden), the Hupmobile dealer; R&N Motor Sales/Chevrolet Motor Company (6829 Ogden), which, clearly, sold Chevrolets; and L. Clark Aubrey (7200 Ogden), a Ford dealership. A Hudson dealer and an Essex dealer (Essex was by then a wholly-owned subsidiary of Hudson) were located southwest on Ogden in nearby Lyons. It isn’t known whether there were any used car dealers on Auto Row during the 1920s; none were listed in the phone directories during that time. However, new car dealerships often do sell used automobiles, and local dealers on Auto Row back then may have done so as well. There were also several major auto dealerships located in Berwyn and Cicero along 22nd Street (Cermak Road), and a few others were scattered elsewhere throughout Berwyn. 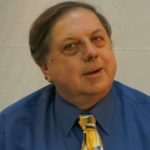 “Most dealers were either on Cermak Road or in the town center along the Burlington Railroad commuter tracks” to start, says Jon Fey, director of the Berwyn Route 66 Museum. In fact, the original Auto Row was located on Cermak, even then a major commercial street for most of its length through Chicago, Cicero, Berwyn, and suburbs further west. The cost of property on Ogden Avenue was less expensive than on Cermak, however, and car dealerships soon began moving to Ogden as a result. By the 1950s, Berwyn’s Auto Row was at the height of its popularity. In 1952, there were 13 new car dealerships and 12 independent (used car) vendors stretching along Ogden between the town borders. Beside familiar names like Chevrolet, Dodge, Ford, Jeep, and Lincoln were several lesser known and/or now defunct car companies – DeSoto, Kaiser-Frazer, Hudson, Nash, Willys/Overland, and Studebaker – and secondary car model lines like Mercury, Plymouth and Pontiac. Sandwiched in between were a great variety of related businesses. Travelers along Ogden Avenue could find nearly every automotive-related service they could ever need. 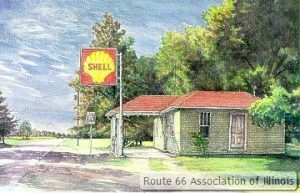 Route 66 began dropping in popularity locally during the early 1960s as it was slowly replaced in sections by Interstate 55. 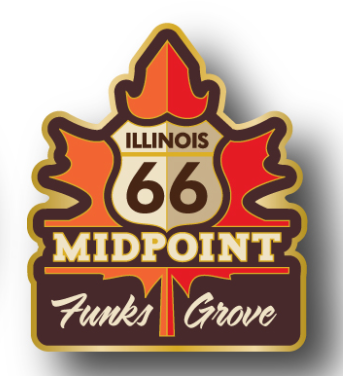 Although Route 66 officially lost its designation in 1985 nationally, it had been de facto fully replaced by I-55 between Chicago and Joliet by the early 1970s. Similarly, Auto Row in Berwyn began a slow decline after the 1950s. By 1982, there were only seven new car dealers and six used car sales firms remaining on Ogden. The remaining new-car dealerships offered AMC, Buick, Chevrolet, Dodge, Ford, Jeep, Oldsmobile, Pontiac, and Saab models. 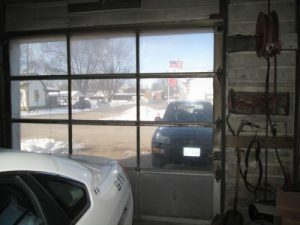 Until the 1970s, Auto Row boasted an all-American lineup, offering only cars made by the big three Detroit manufacturers; but by 1977, the Pontiac dealership on Ogden also sold new Saabs, built in Sweden. Saab was the first foreign franchise on the strip. The decline continued as Anderson Brothers Ford, founded in 1924, was forced by Ford Motor Company to close it doors on November 4, 2009. The closure was part of a national trend by the Detroit auto makers to consolidate their dealerships. Anderson was the last of the new car dealers on Auto Row to close. Why did Auto Row on Ogden die? The reasons were many. Robert Anderson, Jr. notes that the Detroit auto makers pushed their dealers “to increase their footprints of property, and city dealerships were/are landlocked” in Berwyn. Local property lots along Ogden were and remain narrow and not very deep, which was probably one of several reasons they were less expensive than lots along Cermak Road. 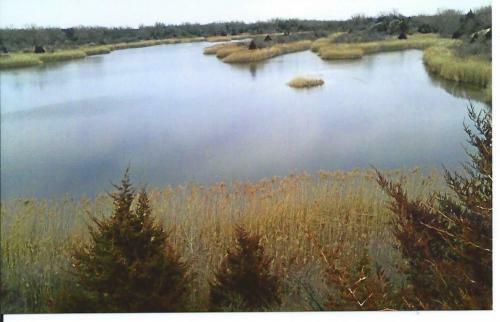 Several car dealers are now located further down old Route 66 (there named Joliet Road) in nearby Countryside, where bigger lots were readily available to accommodate larger dealerships. 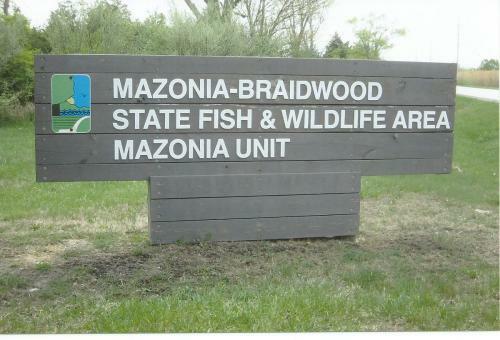 Tax incentives from other communities and reduced competition were also contributing factors. In the 2010 and 2011-2012 local phone directories, there were only four used car dealers listed along the once popular Auto Row. These listings, however, were misleading. 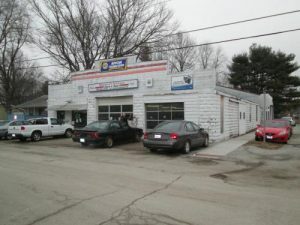 Three of the used car dealers were erroneously listed in the 2011-2012 directory as selling both new and used cars. The directory also listed Castle Buick-Pontiac as a new dealership even though it had stopped doing business on Ogden before 2009 (the directory ad seems to have been a marketing ploy designed to draw former Castle customers to other nearby franchises). Auto Row regained one new-car dealership in March 2011 when Berwyn Kia (7050 Ogden) opened in the building once occupied by Suburban Dodge, which itself had been located in the former Suburban Nash outlet. Kia is the second largest automobile manufacturer in South Korea, just behind Hyundai. The Kia dealership isn’t completely starved for automotive company on Ogden. 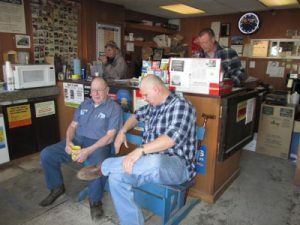 In addition to Ogden Top and Trim, Auto Row still has a number of automotive support services, including tire sellers, muffler and repair shops, auto parts stores, insurance agencies, and other related businesses. Also, most of the buildings that once housed car dealerships and related services are still there on Auto Row, repurposed and remodeled for more recent occupants. Cassidy Tires, for example, is in a building that previously housed a Lincoln-Mercury dealership, followed by a used car dealer and then an auto glass firm, according to the Route 66 Museum’s Fey. A car wash down the street was once a Hudson dealership. Finally, the museum itself is at 7003 Ogden, a few blocks east of Harlem Avenue. 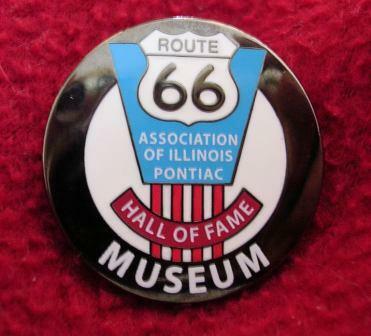 Once located in a few display cases at Anderson Ford, the museum at its present location has a growing collection of automobile memorabilia related to Ogden Avenue’s past. And for as long as the Route 66 Museum remains, so will evidence of the former glory of Berwyn’s Auto Row. 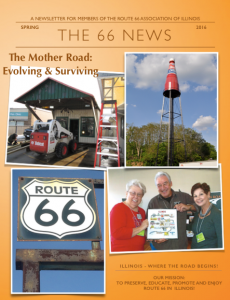 The information in this article has been excerpted in part from the upcoming book, The Curious Traveler’s Guide: Route 66 in Metro Chicago, by Maria R. Traska, Joseph D. Kubal and Keith Yearman. P.S. – A special thank you goes to Michael Da Pisa and Mary Frank of the Berwyn Public Library and the research staff of the Chicago History Museum for providing source materials for this document, and to Robert L. Anderson, Jr. and Jon Fey for their valued input. The following was the presentation by Duke Cartwright to Marty Blitstein presenting him with one of the President’s Awards 2016. 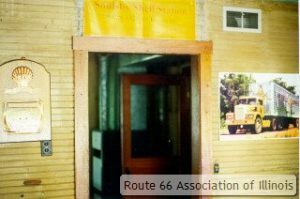 October 18, 1998, Bloomington, Illinois, The Country Buffet Restaurant for the Quarterly Route 66 Association of Illinois meeting and elections. Marty became the newly elected Treasurer. We (the Association) was flat broke. 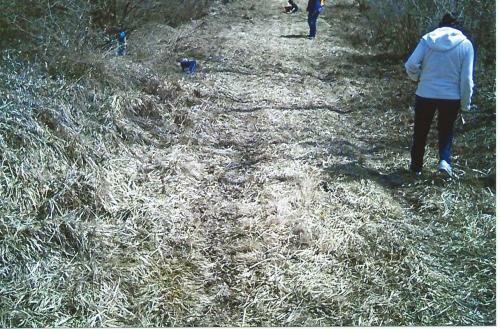 Not enough money in the bank to send out letters to the membership that we were in trouble and in need of help. I stood up and made a suggestion that we “pass the hat” around for donations to get enough money for postage to send out letters to the membership. We received almost $500 which was enough for postage. 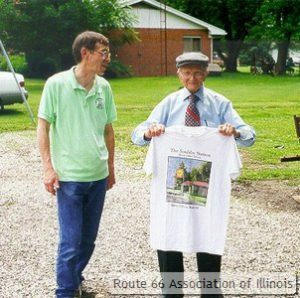 With that Marty started his campaign for the Route 66 Association of Illinois and has been campaigning ever since. 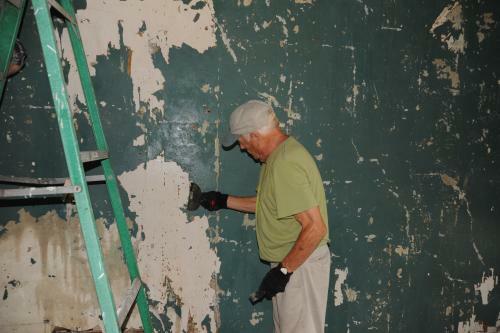 For the next 18 years, he has been influentially involved in everything that has to do with Illinois Route 66. Probably the biggest thing would be the relocation of the Hall of Fame from McLean to Pontiac. The purchasing of the glass display cabinets to show off the artifacts of Route 66. The ordering, and selling of the t-shirts, jackets, patches, cookbooks, and other items we make a profit on. The yearly tour. He shops for the best location for the banquet, menu for the food, every detail involved including the silverware that we eat with and the napkins we wipe our mouths with, he negotiates for. Marty KNOWS the business and how to get things done. He orders the materials used for the Tour (window stickers, dash plaques, license plates, sends out the letters announcing the tour, etc.) every year. He records and tabulates the participation of the Tour process. Posts the monies in the bank and records in the books so that people like me can understand where the money comes from and how it is used. Throughout the tour, at all stops he is there to handle our membership and make certain that all goes according to plan. 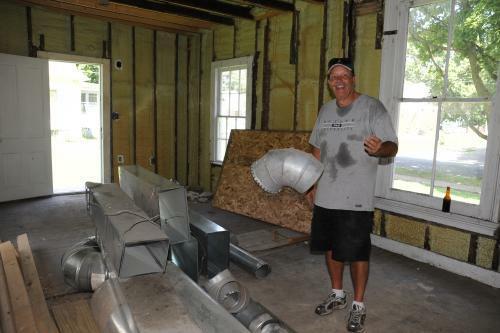 Marty is a “super salesman.” He loves what he does and enjoys doing it. 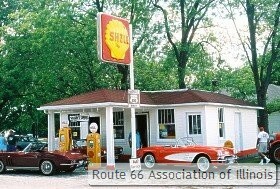 The Route 66 Association of Illinois is not merely a “hobby” to Marty, it is his life. Another real accomplishment to him is the Bob Waldmire bus and van that is on display at the museum. He played a big roll in securing these items, and proudly entertains visitors on tours through Bob’s bus. He is present at the museum almost every weekend, doing his thing, not because he has to but rather because he WANTS to. He loves the organization and what it stands for. If I were to stand up here and try to mention everything Marty has done for us, I would be here half the night and you don’t need to hear me run off at the mouth that long. 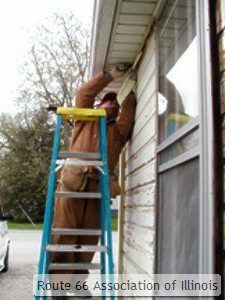 Marty has brought our organization from “poverty” to “solvency” and has enjoyed doing it, and it was all done as a volunteer. He has not been paid a nickel for his expertise and his efforts. He is witty, energetic,honest in his dealings, steadfast in his love for Route 66. He is constantly talking about Route 66. I am very happy to have worked with him the past 18 years. I only wish he had been with us when the organization started in 1990, we would probably be better off today than we are, which is really not bad. 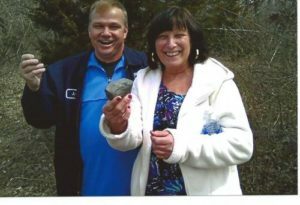 Many years ago, a man with only a high school education, who started as a Deputy Sheriff in a small Illinois town and rose to be the Director of the State Police and Prison System, said in a lecture one time that “the person who handles the purse strings of the company or organization, RUNS the company or organization. I have found that to be true, and especially so with Marty. We may have Presidents, and Vice-Presidents, but the man with the control of the money “RUNS” things. Marty is like the song that Toby Keith sings “He’s not as good as he once was, but he is as good once as he ever was.” His parents, “Mother Nature” and “Father Time” are slowing him down. He has been good to us through the years and we owe him far more than we could every pay. I only wish this plaque was a million dollars, but it isn’t. I know in my heart that it is worth a million dollars to Marty for having received it. I am proud to have worked with him all these years and even more proud to call him my friend. 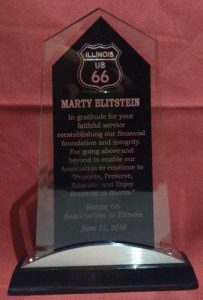 Thanks for allowing me this honor to present to Marty Blitstein this honor.